Phil Taylor makes his return behind the drum set and Motorhead release Rock 'N' Roll, their eighth studio album. Compared to the previous year's Orgasmatron, Rock 'N' Roll contains a more purposeful set of songs, demonstrating increased respect for cohesive song structures without losing the band's signature wild abandon. 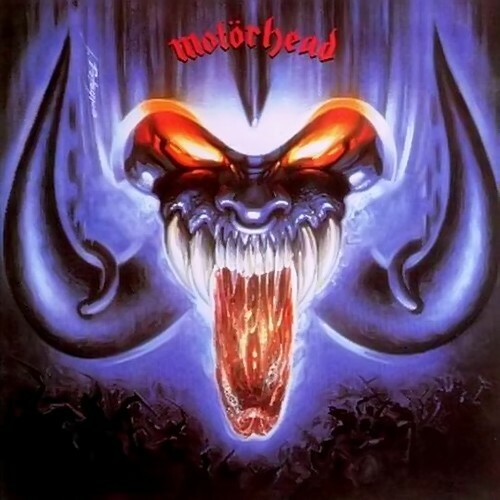 Rock 'N' Roll is both stripped-down and muscular, Motorhead sending a message that they will continue to find new ways to construct simple but sturdy metal structures without compromising their principles or the essence of what makes the greasy Motorhead run. The album is built around three stand-out cuts: title track and CD opener Rock 'N' Roll is exactly what it says on the metal box, straightforward rock 'n' roll pumped full of liquid steel and quick to showcase Taylor's drums and confident guitar solo work. Blackheart stays with the rock 'n' roll theme but emphasizes the groove, Motorhead seeking a straight highway and flooring the pedal. And leaving the best until last, Bogeyman is nothing but blistering hyper-tempo boogie woogie encased in shiny metal, Motorhead finding the perfect manic structure for their uncontrollable energy, and just barely keeping all the music channeled in the same direction. A couple of the supporting tracks are almost equally strong. Traitor is built on a strong staccato riff that still rises from a foundation of rock 'n' roll, while All For You is the most soulful track on the album, Motorhead finding surprising comfort in a just slightly more mellow melody. Rock 'N' Roll is an old dog deciding not to learn new tricks, but proving that the old tricks still have a lot of life in them. Produced by Motorhead and Guy Bidmead.